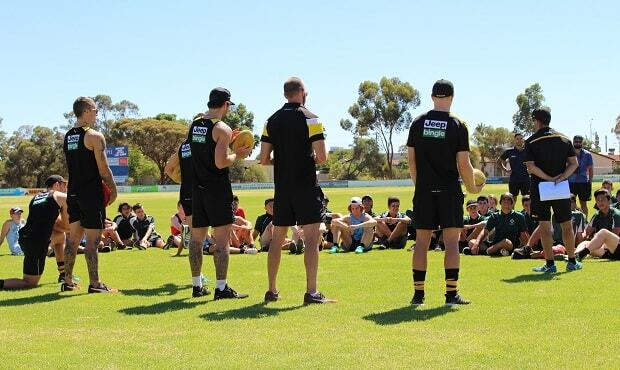 Richmond will further build on the connection its Next Generation Academy Program has created with regional Victoria when the Club travels to Bendigo and Echuca for the 2018 Australia Post AFL Community Camp. Richmond’s Physical Performance Manager Peter Burge doesn’t subscribe one iota to the theory that the Tigers are disadvantaged in their preparations for season 2018 because of this year’s premiership triumph. Richmond captain Trent Cotchin is confident the Tigers’ 2017 premiership players will quickly click into pre-season training mode following their off-season celebrations and focus on the challenges ahead in 2018. Richmond premiership hero Alex Rance is "in the conversation" for the best full-back of all time and still has three or four years left to further enhance his status, Tigers assistant coach Justin Leppitsch says. 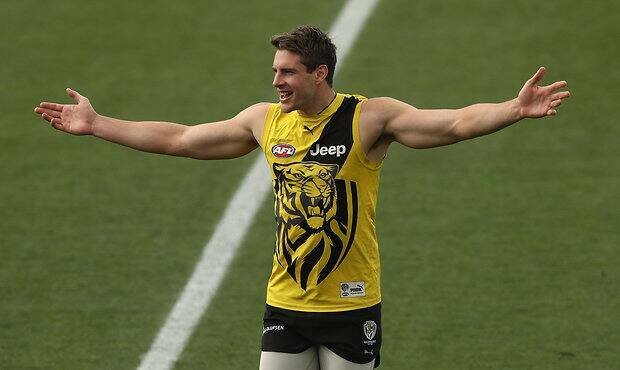 DION Prestia is facing a delayed start to training, after the premiership Tiger underwent post-season ankle surgery. In the wake of the AFL’s 2017 drafts, Tony Greenberg delves deep to bring Yellow and Black barrackers some interesting Tiger tidbits. Richmond will be "going out there to hunt" in 2018 in an effort to defend its flag and stave off any chance of a premiership hangover, captain Trent Cotchin says. Richmond will enter the 2018 season ranked 13th ranked competition-wide in terms of the playing group’s average age and 10th for games’ average. There’s no denying the considerable football talent that Richmond’s first pick (No. 17 overall) in the 2017 AFL national draft, small forward Jack Higgins, possesses.